Pearl at the Palms in Las Vegas Nevada hosted the TUF 27 Finale. The season in which undefeated Lightweights battled as Team Miocic and Team Cormier. 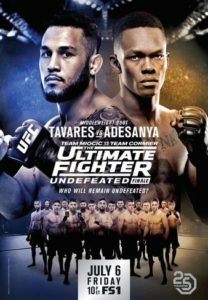 The main event a Middleweight contest between number 8 ranked contender Brad Tavares & undefeated Israel “The Last Stylebender” Adesanya. Tavares a Hawaiian, who’s been a long time member of Xtreme Countre, is on a 4 fight win streak. 12-3 in the octagon, Tavares joined the promotion after a stint on TUF season 11. Adesanya a world class Kickboxer, from Nigeria, who has 12 of his 13 mma victories by knock out. 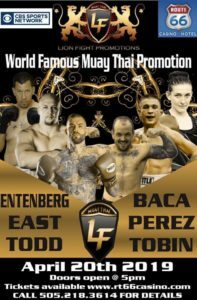 Plus Mike Trizano & Joe Giannetti battle to see who will remain undefeated and be the Lightweight winner of TUF season 27. The Featherweight TUF 27 final is the co-main event between Brad Katona and Jay Cucciniello.